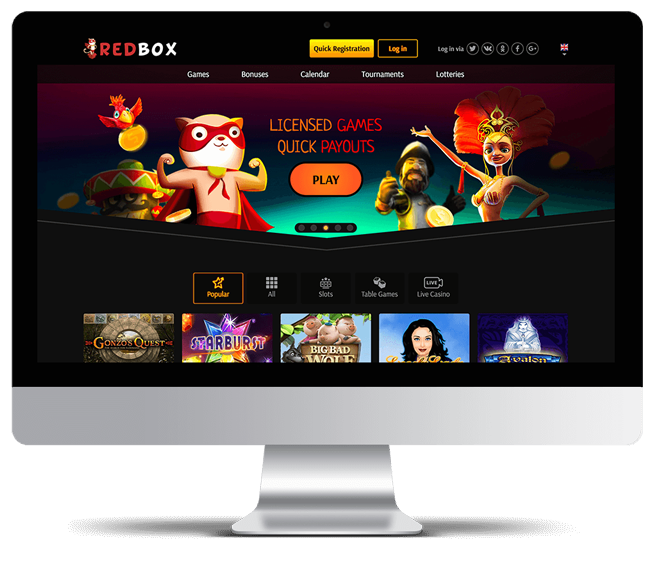 RedBox is an absolutely new brand in the sphere of online-casinos with a unique design and superhero thematic. 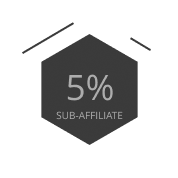 Affiliate Program JimPartners.com is an official representative of the project. The brand works only with the top game providers, such as NetEnt, Microgaming, Betsoft, Evolution Gaming, Ezugi, Playson, Quickspin, Amatic, Endorphina, Tom Horn, Habanero and others. Online-casino RedBox offers Live-Casino with a huge variety of Table Roulette, Black Jacks and Poker games. Live-Games on the site are presented by leading game providers: NetEnt, Evolution Gaming, Ezugi and Lucky Streak. 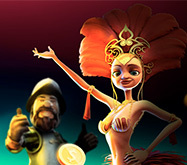 Bonuses for registration: Free spins, bonuses for deposits. 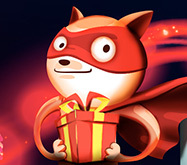 There is a large variety of gifts for deposits: 150% bonuses and 70 free spins for the first deposit. Payment systems for depositing and withdrawing funds: Qiwi, YandexMoney, PerfectMoney, Payeer, Skrill, Neteller, ecoPayz, Sofort, Jeton, cryptocurrency (Dash, Bitcoin, Litecoin, Ethereum), Visa/Mastercard, MTS, Tele2, Beeline, MegaFon. Open Markets: Netherlands, Sweden, Switzerland, Italy, Germany, Spain, France, Russia, Commonwealth of Independent States. 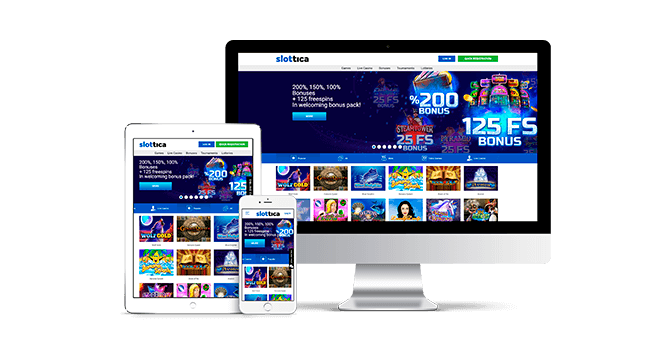 Slottica is a unique online-casino designed in classical style with pleasant light colors. 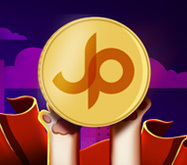 An affiliate-program JimPartners is a direct advertiser of Slottica Casino. The brand works with the best licensed game developers exclusively: NetEnt, Microgaming, Novomatic, Amatic, BetSoft, Evolution Gaming, Ezugi, Booongo, Playson, Endorphina, Tomhorn, Lucky Streak, Pragmatic Play, Habanero, and many more. 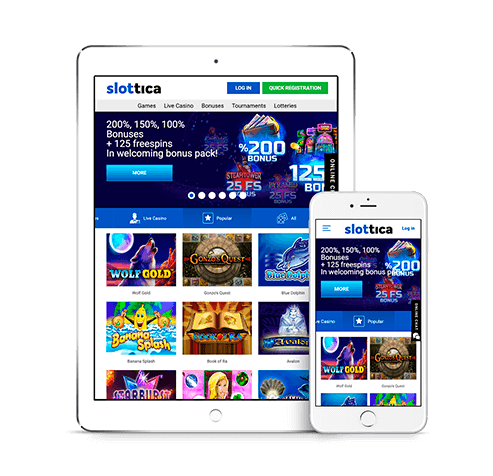 Apart from slot machines, Slottica Casino offers its players amusing card table games and a huge assortment of entertainments with real dealers. There are such games as blackjack, baccarat, several types of roulette, keno, and poker from world-famous providers NetEnt, Evolution Gaming, Ezugi, and Lucky Streak. Rewards for signing-up: free spins and bonuses for replenishments. There are various bonuses for deposits: up to 450% to sums of replenishments, 125 free spins in video slots, money and percentage bonuses that can be activated from Monday to Friday. Payment methods for deposits and withdrawal of funds: Visa, MasterCard, Skrill, Neteller, ecoPayz, Jeton, Banka Havalesi, Hizli QR, Granti Cep Bank, Payeer, Perfect Money, Qiwi, Yandex.Money, МИР, Beeline, Мегафон, МТС, Tele2. Languages: English, Polish, Turkish, Russian. DIamond is a casino that differs significantly from RedBox and Slottica brands. Having other subject, content, and geographic targeting, it covers completely different audience, which consists mainly from South African players. 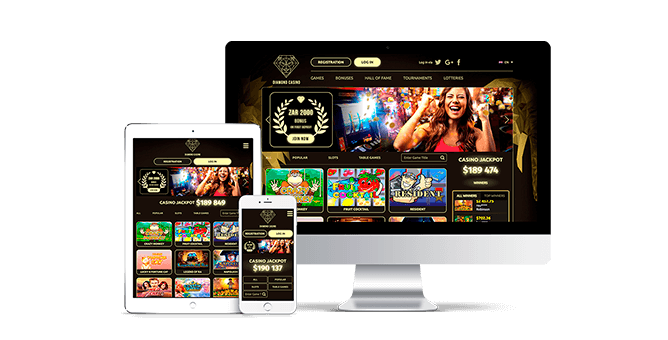 Diamond Casino is an original development of JimPartners affiliate-program. 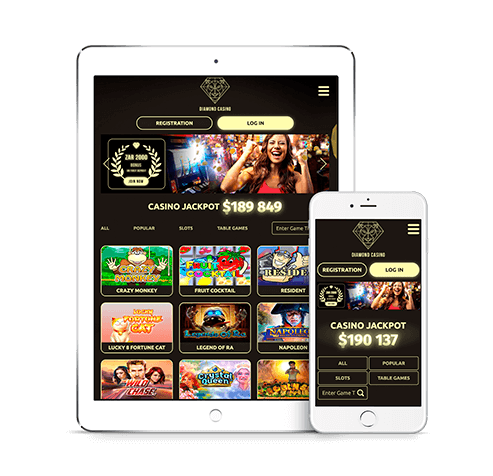 This gambling club cooperates with licensed providers only: NetEnt, Microgaming, Novomatic, Amatic, BetSoft, Evolution Gaming, Ezugi, Booongo, Playson, Endorphina, Tomhorn, Lucky Streak, Pragmatic Play, Habanero, Thunderkick, August Gaming, and others. Visitors of Diamond Casino can have a great time playing not only slots, but also table gambling games: keno, blackjack, baccarat, poker, roulette, and various card games. There are only the best representatives of gambling world among the developers of table games: Slot Developers, Evoplay, Rakki Games и Iron Dog Studio. 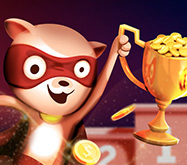 Rewards for signing-up: free spins, bonuses for deposits. There is a wide range of presents for replenishments: bonuses up to 300% and money rewards. 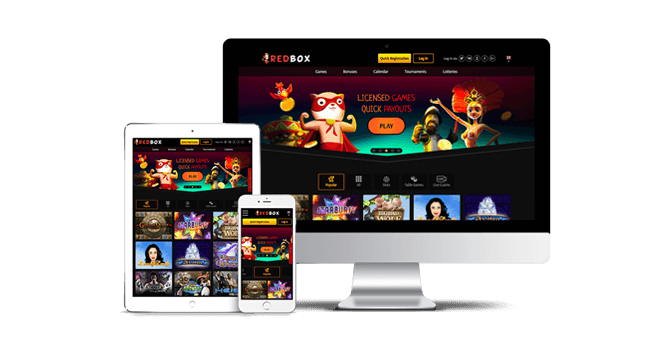 We offer our webmasters to earn up to 60% of Revenue Share with RedBox Casino, Slottica Casino, Diamond Casino project. Following this model, we accept any kind of traffic: from email newsletters to any kind of traffic from social networks. 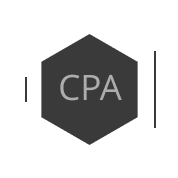 We offer unique conditions for webmasters, which work which CPA Program. Contacts us to receive additional information. We will answer all your questions. Increase your income by engaging other webmasters to the Affiliate Program of RedBox Casino, Slottica Casino, Diamond Casino. 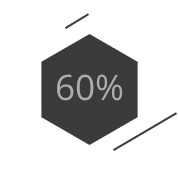 You will be able to get up to 10% of their incomes. The more referrals you have, the bigger your present of their income will be. If you have an archive of gamers, whom we can send emails, inviting to play on RedBox Casino, Slottica Casino, Diamond Casino, we will gladly provide you with all promo-materials for such newsletters. We will create nice models for you and the best promo-codes for gamers in order to increase conversion of opened links for registration from the emails. If you have thematic Website about online-casino, we will be glad to be mentioned on your platform. 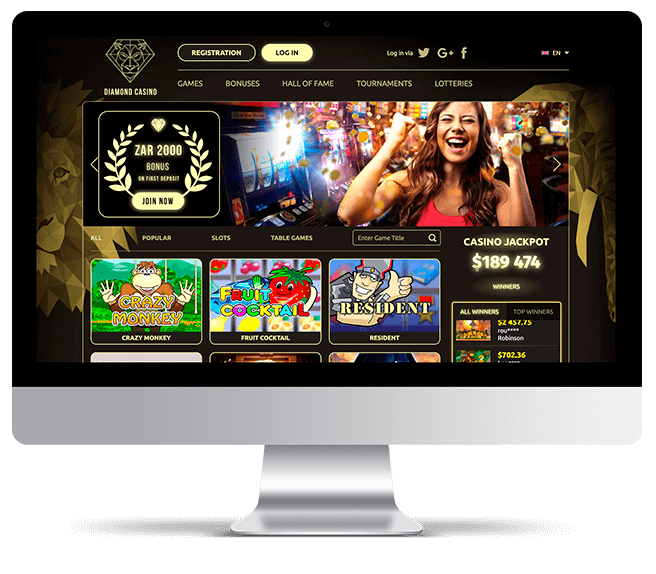 We will arrange the necessary banners, branding, pop-ups and high quality reviews of RedBox Casino, Slottica Casino, Diamond Casino for you. We can also provide gamers of your site with unique bonuses. You can work with Google Adwords and Yandex Direct? Then we gladly invite you to stream traffic on RedBox Casino, Slottica Casino, Diamond Casino. We guarantee a good conversion. Please get in touch with the managers of Affiliate Program of our casino - Jim Partners for any details and price for traffic. You have groups in Facebook, Vkontakte, Instagram and channels in Telegram or other messengers? We will provide all the necessary content to organize quality promotional marketing in any Social Network and for targeting advertisement. We have a plenty experience in working with streamers of casinos, as well as YouTube bloggers. 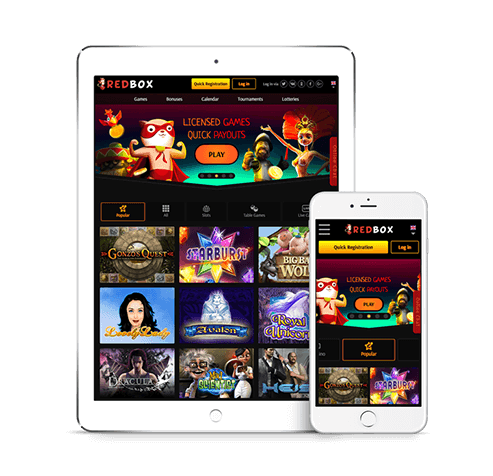 We invite you to cooperate with a new project - RedBox Casino, Slottica Casino, Diamond Casino. Your videos and streams will be organized the best way possible. You can work with teaser and banner advertisement for casino? We will we glad to have you among our partners. We will prepare high-converting landings, provide good banners, as well as pleasant bonuses for your players. Your profit on JimPartners was transffered! A new “Chips for the win” tournament has started in Slottica Casino! Your earnings on JimPartners were delivered! New tournament “Cocktail Party” from Slottica Casino! 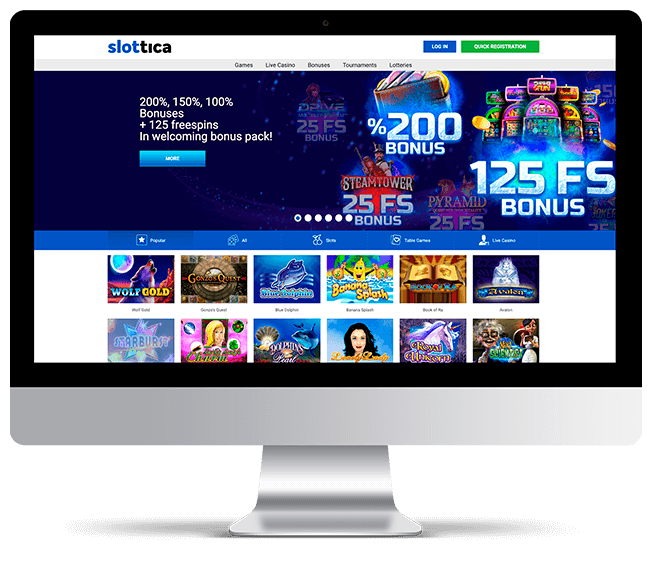 Welcome bonuses of Slottica Casino are already waiting for your players! Your earnings from JimPartners were transferred! Jim Partners is an Affiliate Program which is oriented on Europe and Commonwealth of Independent States. You will always receive the best service and high conversion of casino brands by cooperating with us. To work with us, all you have to do is to complete a simple registration process and visit the link of data-confirmation. Afterwards you need to log in and create a promo-link. Content for promotion is available in your personal account. You can also ask your program-manager for such information. You can reach your personal manager via Skype, email or Telegram. You can also ask a question or for a consultation by taking a ticket in your account. Jim Partners offers its webmasters a huge variety of promo-content, including unique reviews in two languages (Russian and English), banners in .jpeg, .gif, or .html sizes, landings with the form of registration for our players and pop-ups. Our designers will prepare unique branding for your site or forum with gambling thematic. If you use video-traffic to attract new subscribers, we will provide you a big multimedia archive with pre-rolls. By cooperating with casino Affiliate Program Jim Partners you will always get the most profitable and pleasant results.